Appointment Archives - Moran Eye Associates, P.C. You Can Live Longer if you have Cataract Surgery! The Journal of the American Medical Association (JAMA), ophthalmology division has recently reported that women who had cataract surgery lived longer and had a lo wer incidence of other diseases. In October of 2017, the JAMA article revealed the results of a large study of over 70,000 women participating in the Women’s Health Initiative. The Women’s Health Initiative is an observational study of data collected for over 2 decades. It found that over half of the participants followed in the study had cataract surgery. The most common age for the surgery was 70 1/2 years old. 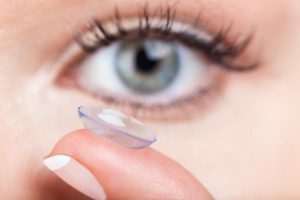 It also found that women who did have cataract surgery had a lower risk of dying due to any cause than those who didn’t have cataract surgery. The study was not designed to determine the reason for the lower risks of vascular, accidental, neurologic, or infectious conditions. What it did suggest is cataract surgery improved a patient’s overall function keeping them healthier. One caution: Cataract surgery for just the sake of having cataract surgery did not indicate an improvement. Only if your doctor determined it was necessary for the improvement of your sight was it beneficial. If you notice that your vision is not as clear as it once was, don’t delay, schedule a cataract evaluation with Dr. Moran.